It’s finally sweater weather, babes! I really thought it just wasn’t going to come this year. 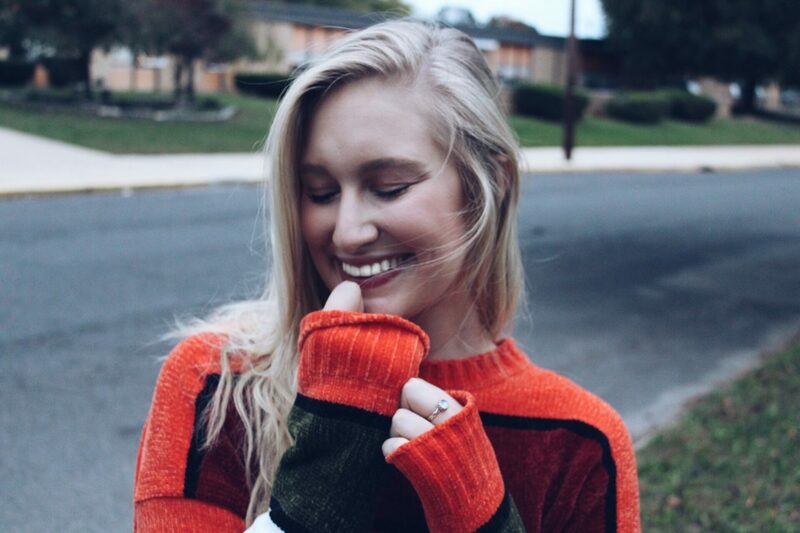 Every year it stays warmer longer which not only scares me (cuz ya know, global warming), but makes me sad because sweaters are honestly my favorite thing to wear, ever. Give me a comfy sweater/sweatshirt and I am one happy gal. I’ve stolen basically all of my boyfriend’s sweatshirts because I’m that obsessed (hehe sorry babe). A few weeks ago my boyfriend and I were casually walking through Forever 21, as one does, and I was not expecting to buy anything for myself. But then I saw it, and I could not resist. 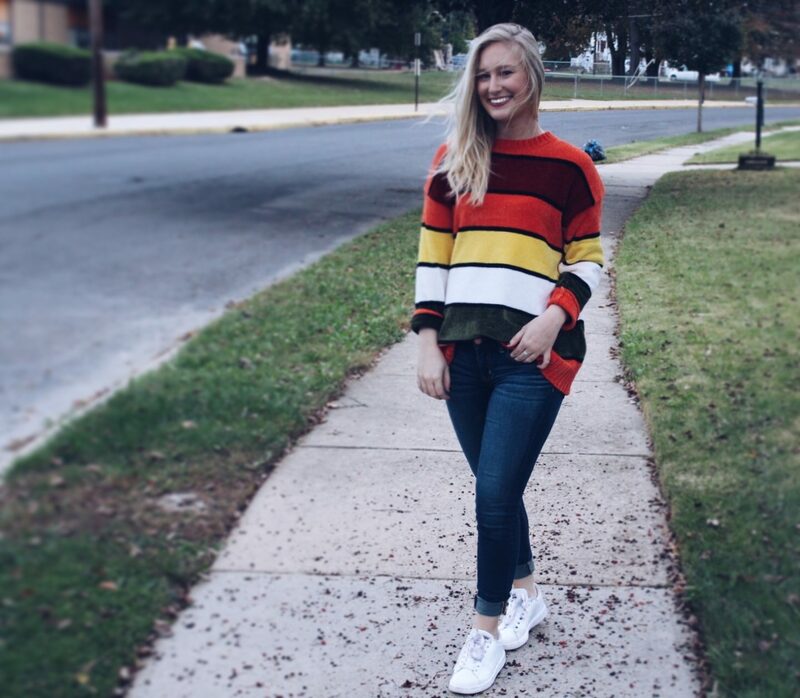 I mean, this sweater is fall mixed with candy corn mixed with Cosby Show Bill Cosby. Basically it’s fantastic. It’s so freaking soft and snuggly that I wanted to wear it for like three days straight, but I felt a little gross doing that. 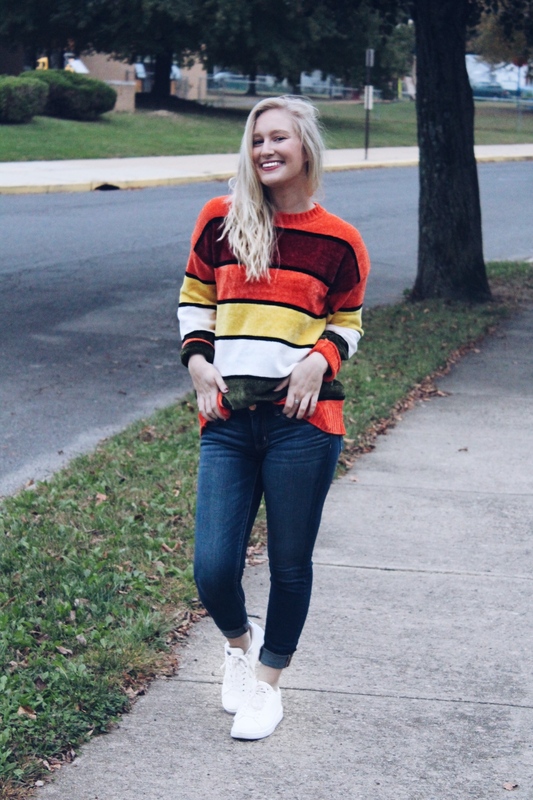 Honestly, I’m so in love with the sweater and I HIGHLY recommend you snag it before it sells out! Affordable Stores For Spring Shopping!! "Gigi x Maybelline Products Review!" "Everything You Need To Try This Fall"